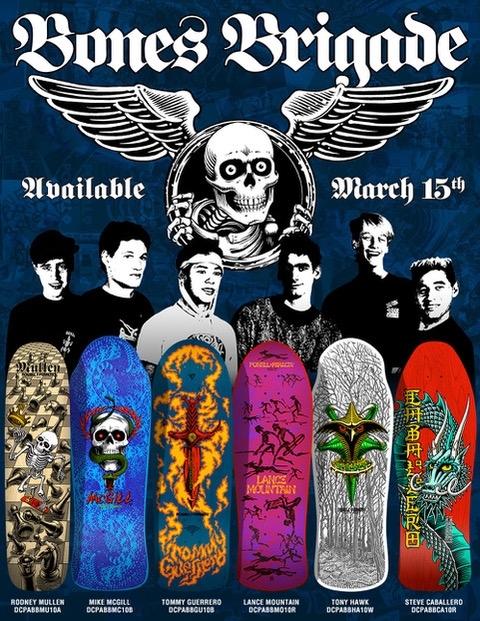 The Bones Brigade narrowed series 10 to three different sets, we then gave fans the opportunity to tell us which set to produce. 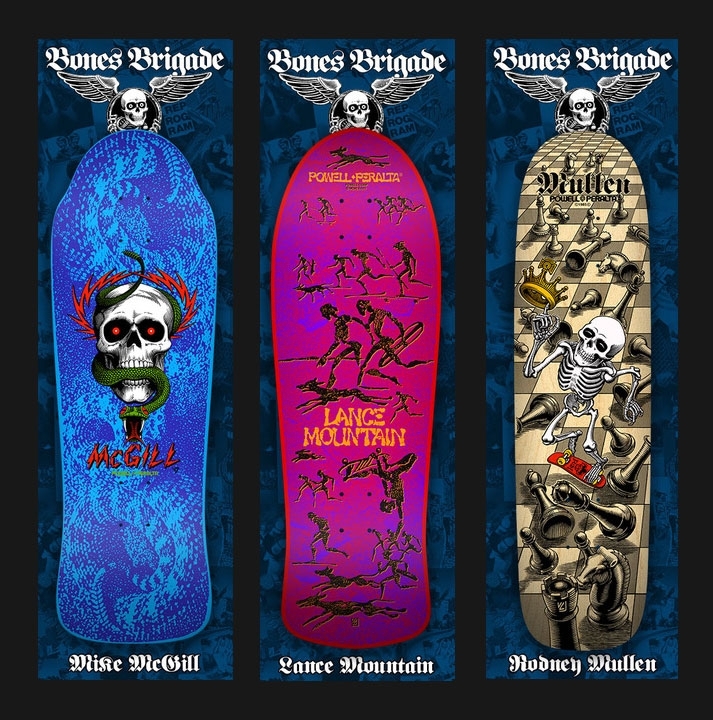 Thousands of fans voted and the Classic series received the most votes. Mullen Natural, never re-issued before. Limited to 1,000. McGill Blue, never re-issued before. Limited to 2,000. Guerrero Blue, never re-issued before. Limited to 1,000. Mountain Red, never re-issued before. Limited to 1,000. Hawk White, never re-issued before. Limited to 2,500. CAB Red, never re-issued shape, never re-issued before. Limited to 2,000. 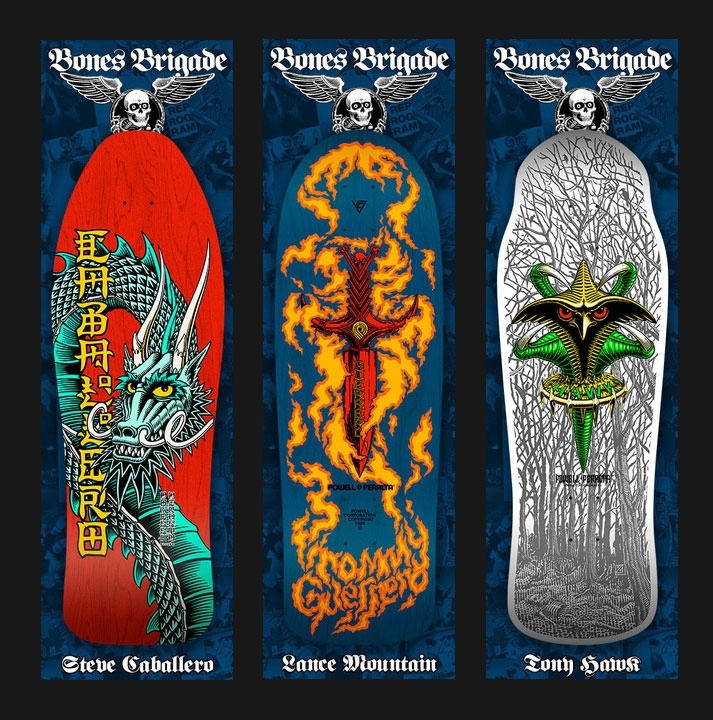 Each deck comes with a new deck card made for this series, and will be uniquely numbered. (Ex: 346 of 1,000).